Play in the Premium Cup on April 12th and win to have your name engraved on the cup! cocktail station on the course and a light dinner afterwards. Every birdie scored in the tournament, PGNZ will donate $2 towards our supported charities, Star Jam and Camp Quality. Please confirm that you are an amateur golfer from whichever country you are coming from. 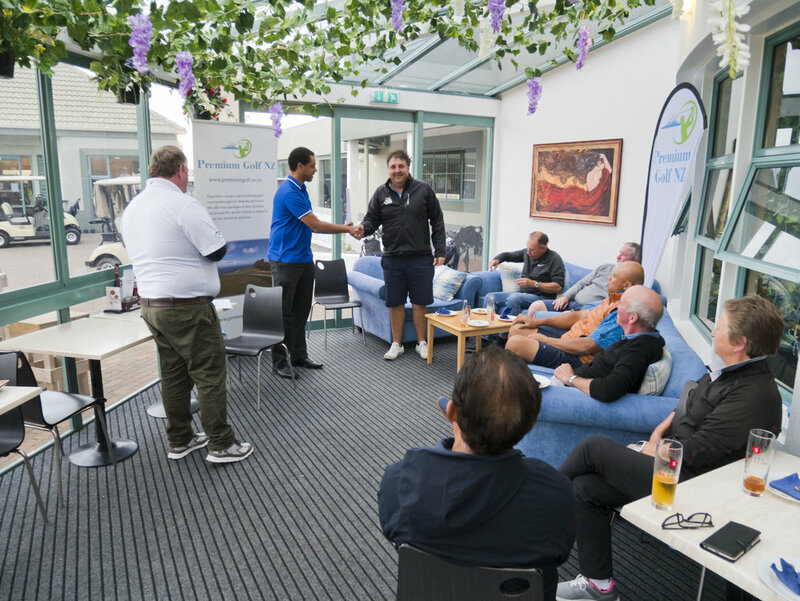 Would you like to be contacted about accommodation and weekend golf travel packages? 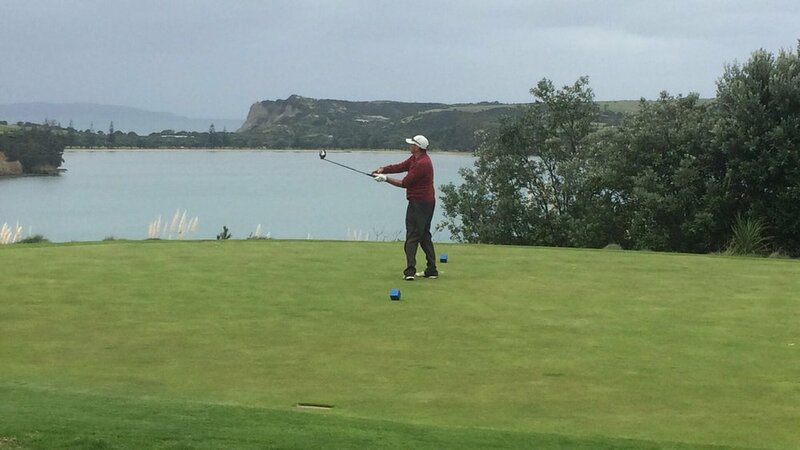 Would you like to play in the Premium Cup free as part of our Great Kauri Cliffs Tour? Thank you very for registering for the 2019 Premium Cup. We will check the information you have submitted and contact you very shortly if need be. Our Premium Cup newsletter, which you are automatically subscribed to, will go out on the last Sunday of every month full of updates, giveaways and interesting golf related news. Make sure to share the opportunity of playing in the Premium Cup with your family, friends and fellow golf members. 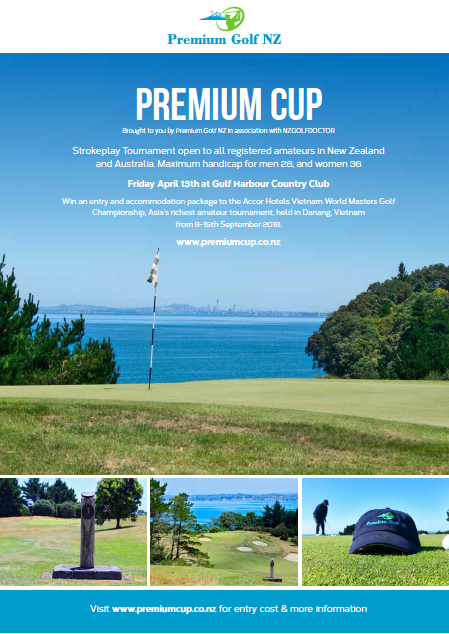 Watch this video and then register above using the form to play in the Premium Cup, New Zealand's most exciting amateur strokeplay tournament. 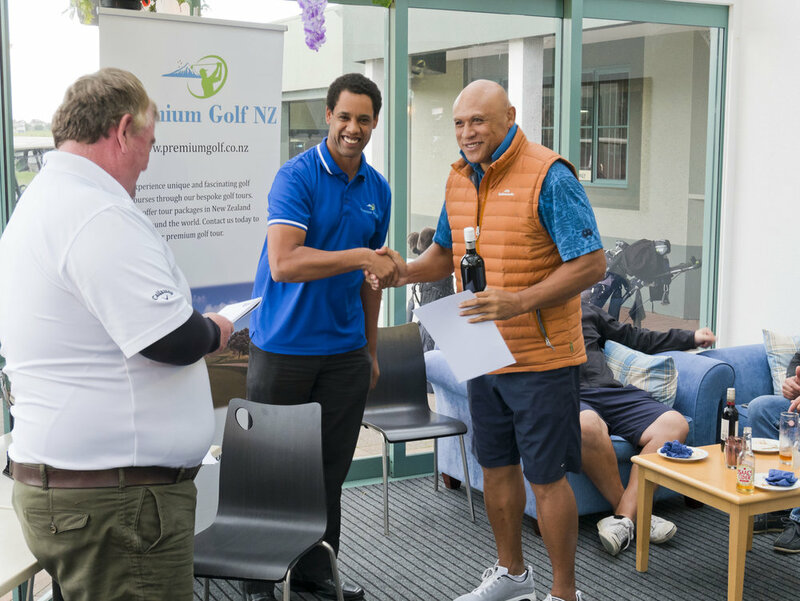 Tournament Format: Strokeplay Tournament (Blue Tees for men and yellow tees for women) open to all registered amateurs in New Zealand, Australia and other countries. 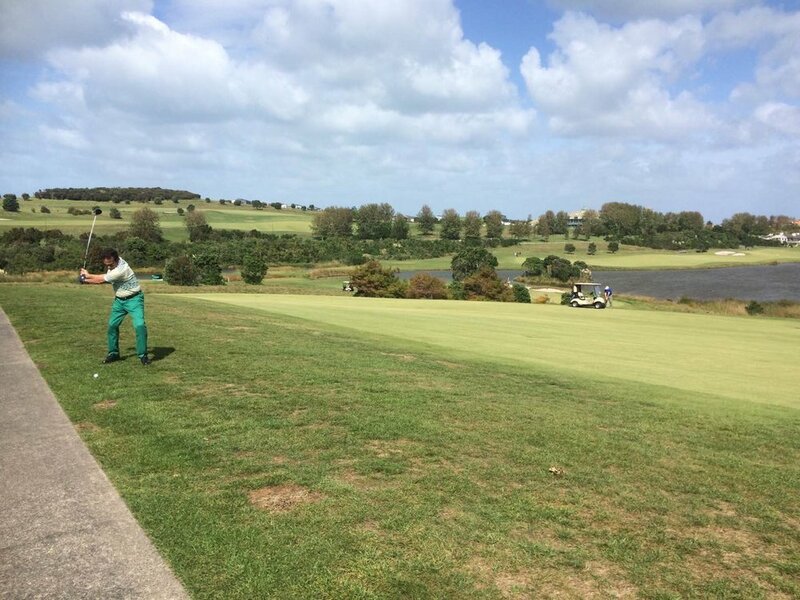 New Zealand golfers must be registered with NZ Golf and have a handicap. Australian golfers must be registered through Golf Australia and participants from other countries must demonstrate their official handicap and amateur status via their national golf body - approval to enter will be at the disrection of the tournament committee. 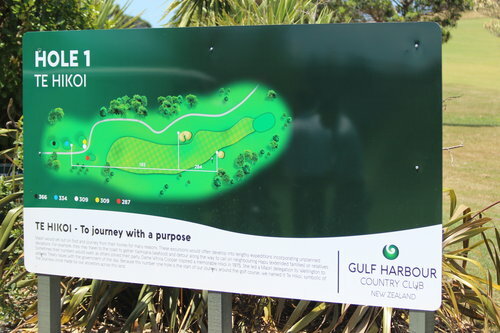 The Course: Gulf Harbour Country Club is one of New Zealand's finest and most well known marquee golf courses. A Robert Trent Jones Jr design, the course hosted the World Cup of Golf in 1998 and the New Zealand Open in 2005 and 2006. 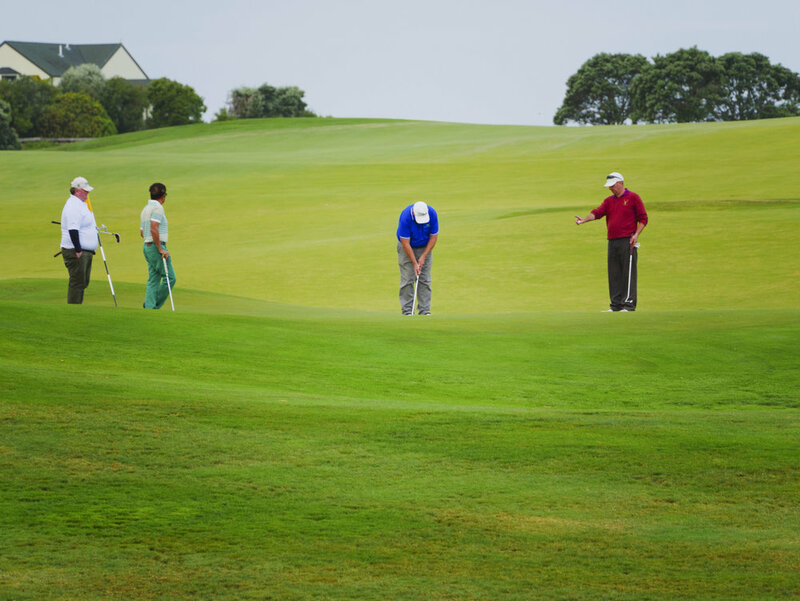 Recent enhancements to the course make this venue an exciting place to play golf. CONGRATULATIONS to Chrissie Courtman who won the inaugural 2018 Premium Cup which was held on April 13th 2018 at Gulf Harbour Country Club! Chrissie not only won the trophy and a bottle of fine red wine but also an entry and accommodation package to the Accor Hotels Vietnam World Masters Golf Championship September 9-15th, in Danang, Vietnam! Update 20/09/18 - Chrissie won her division at the Vietnam World Masters! See here for images of the great event and her scorecard here. The 2018 field enjoyed an exciting day of golf at the immaculate Gulf Harbour golf course and left wanting more. 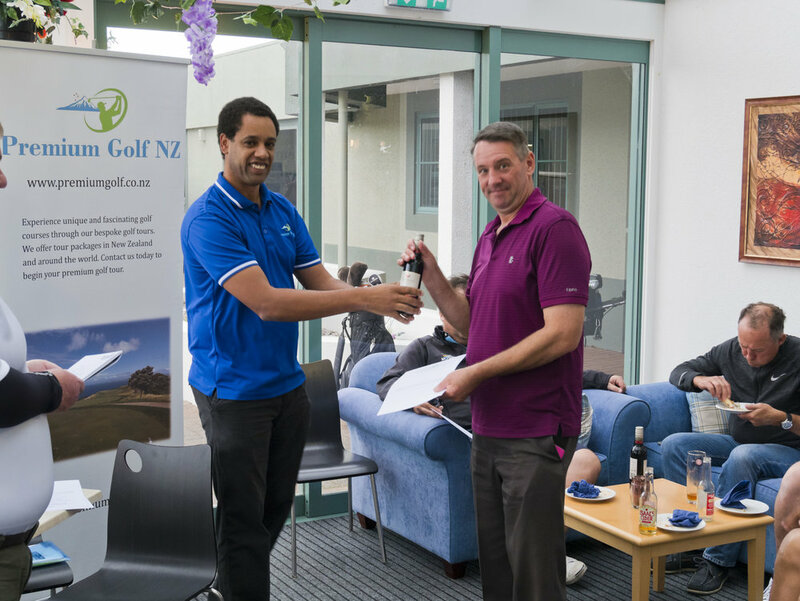 All participants received $250 golf travel vouchers and bottles of wine for their efforts but there was only one ultimate winner in this amateur strokeplay tournament. See the full results here. View the 2018 tournament poster here, the tournament video below and see a collection of photos from the event at the bottom of this page. Use the bus transport service provided by PGNZ to the venue and back to downtown Auckland afterwards. This road based service is offered by Premium Golf NZ at $35 per person each way. PGNZ can organise travel packages from anywhere in New Zealand or Australia, including accommodation and transport from Auckland airport. Include the Premium Cup on your way to or back from Kauri Cliffs as part of our Great Kauri Cliffs Tour. Book this tour and we will give you free entry into the Premium Cup! 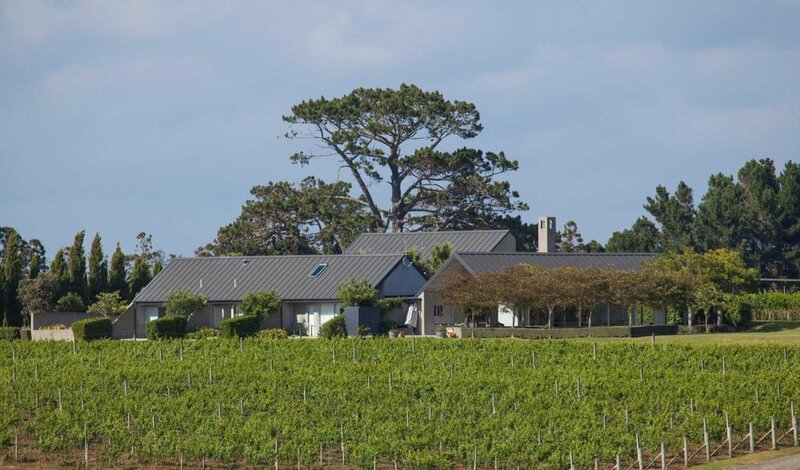 Suggested travel date - April 10th, arrival and drive straight to Kauri Cliffs, (3 hour drive), stay overnight and play Kauri Cliffs on the 11th returning to Gulf Harbour either evening of the 11th or morning of the 12th. 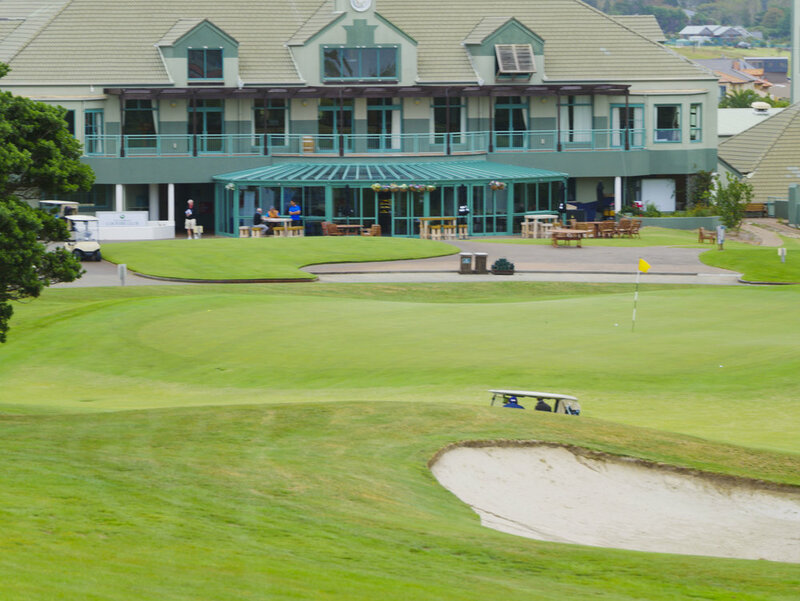 Weekend packages can also include playing extra rounds at Gulf Harbour, helicopter day trips to Kauri Cliffs or Taraiti* (Subject to approval to play and you must stay overnight), Wainui or a wine and golf weekend in Matakana playing at Omaha Beach golf course and staying at Takatu Lodge. Fill out the form above or contact us today for further information.